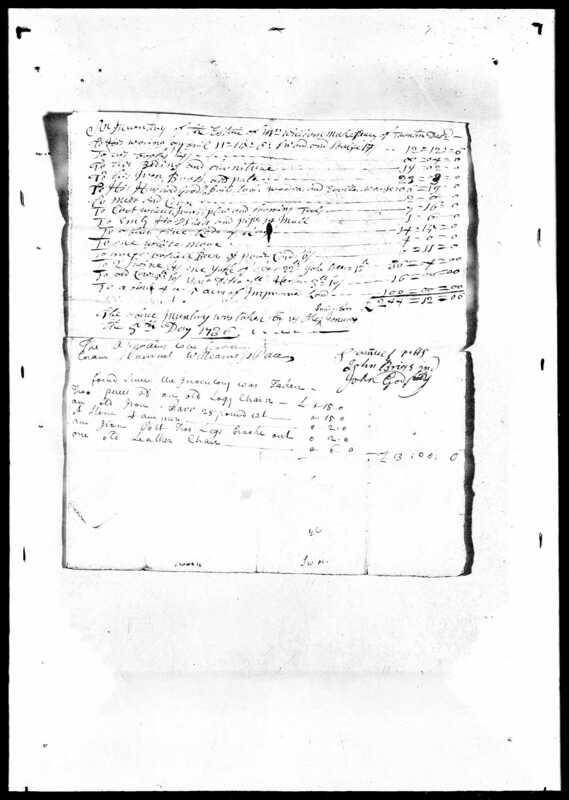 Probate inventories are among the most tantalizing of resources available to the scholar of early American material culture. 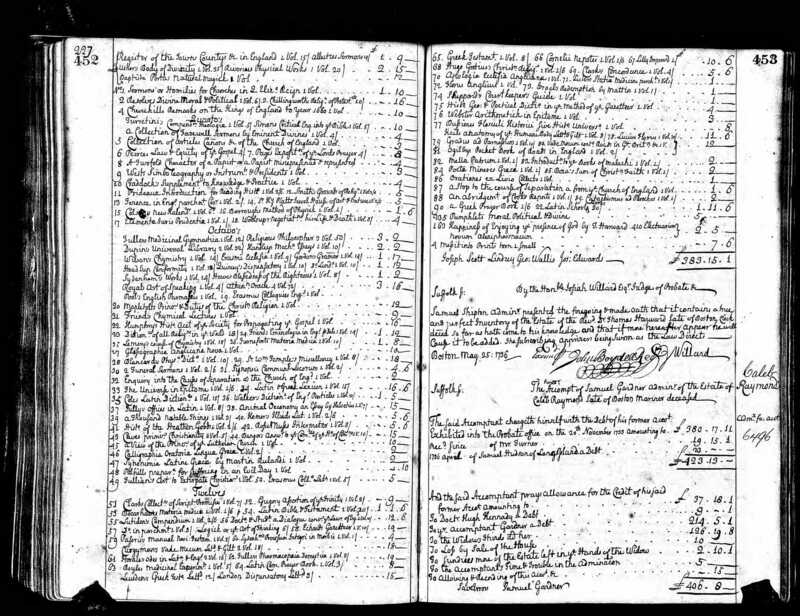 Detailing the household contents for individual estates, these records provide a window into American lives that is sometimes inaccessible through any other means, potentially offering clues about a person’s wealth, profession, family life, and even their taste. Available in great volume and now often searchable online, inventories hold special promise for the researcher hoping to learn more about the personal lives of a family or the economic activities of a community, capturing evidence of material life where physical artifacts may no longer survive. From furniture to kitchen supplies, livestock to carpenter’s tools, and clothing to bed linens, these lists of personal belongings offer fascinating snapshots of a moment in in the lives of people and their things. One of the most valuable uses for such records is comparative analysis. 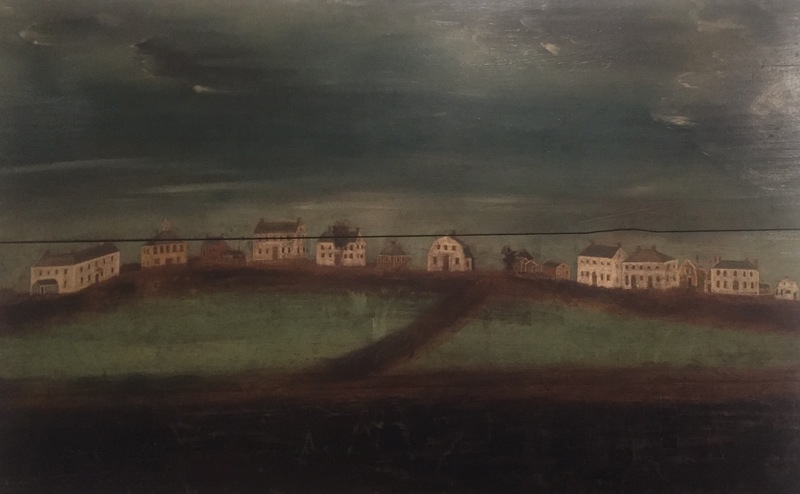 For instance, a study of records from 1730s Boston, relative to the city’s nearby rural environs in Bristol County, helps us to envision distinctions and similarities between the styles of living in each community. These documents provide us with evidence of strong wealth differentials, with Boston residents often owning more of many things. Where a well-off Bristol County inhabitant might have had a modest collection of five or six books – Abraham Jones of Raynham possessed an old bible, small books, “some bound and some not bound,” and a Christian dictionary – the most extensive Boston book inventory, that of Reverend Dr. Thomas Hayward, seen above, fills one and a half pages, in a collection so voluminous and diverse that the appraiser saw fit to categorize it by folios, octavos, and twelves. On the whole, Bristol County probate records suggest that interiors in these small rural towns were plainer than their urban counterparts in Boston. In terms of color, pattern, texture, volume, and object variety, the Bristol County documents are less ornate. For instance, in a sample of Bristol County estates, just four percent of examples make reference to pictures or prints, with Boston decedents possessing such decorative items in forty-four percent of cases. 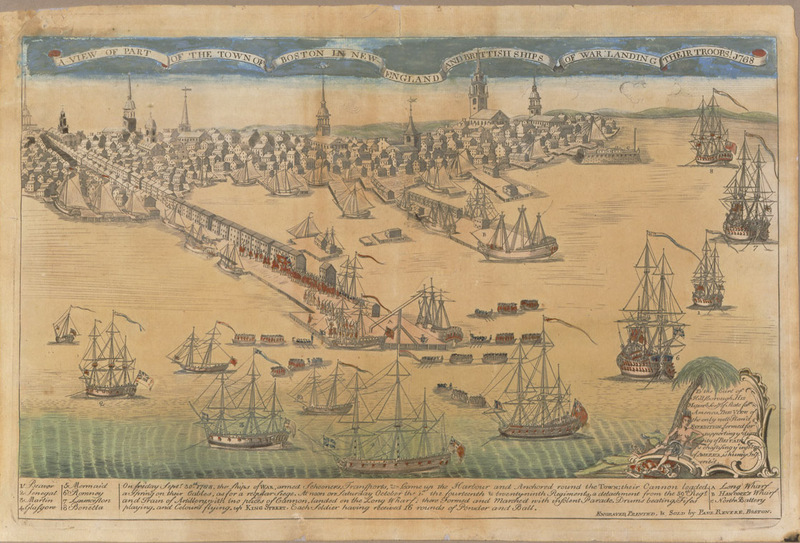 As an additional case in point, there are fifty references to color or pattern in the interiors of the same Boston inventory sample, including: diaper, damask, check, stripes, “plad,” turkey work, gilt, blue, blue and white, green, red velvet, black, white, brown, yellow, “snuff-color,” and “speckled.” A larger Bristol County sampling contains only twenty-four such references, comprised of a range of colors and patterns more limited in scope. It is worth noting that probate records do have major drawbacks, some more widely recognized than others. As most scholars will acknowledge, inventories often cannot be counted upon to provide much detail. Objects are seldom described with qualifying information. How are we to know whether a “chest” was plain, painted, carved, or otherwise? How big was it? What woods were used in its construction? The best we might hope for is an occasional adjective such as “small” or “old,” or, more rarely, “japanned” or perhaps “flowered.” Also worth considering are certain differences in inventory format which might at first seem trivial – for instance, quality of penmanship, or method of organization, whether room-by-room or seemingly more random. 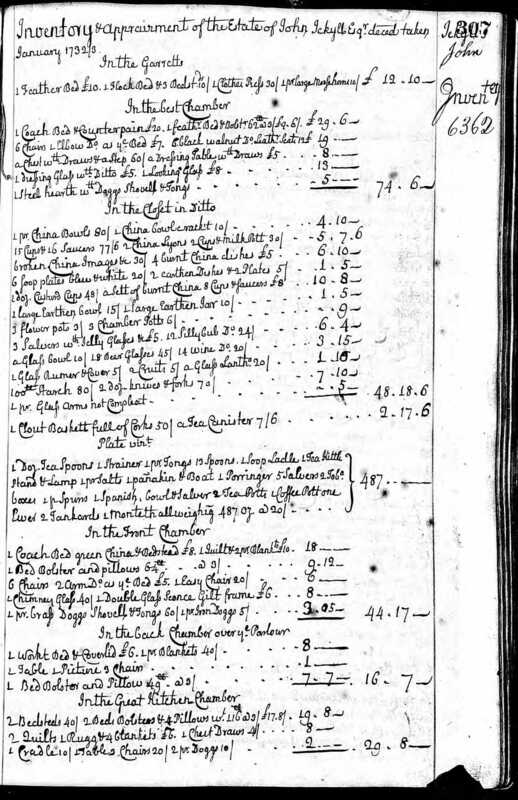 Boston probate inventories from the 1730s are strikingly more detailed, better written, and better organized than their Bristol County counterparts, suggesting a level of attention on the part of the appraiser that should not escape our notice. If Bristol County inventories had been compiled by appraisers of equal rigor, they may well have demonstrated more color and pattern. We should therefore be careful about drawing too many conclusions from the absence of detail. As useful as probate records can be, we should approach inventory analysis with circumspection, looking to additional sources, such as surviving objects and documented provenance, for further support of our interpretations. What Kind of Chest? 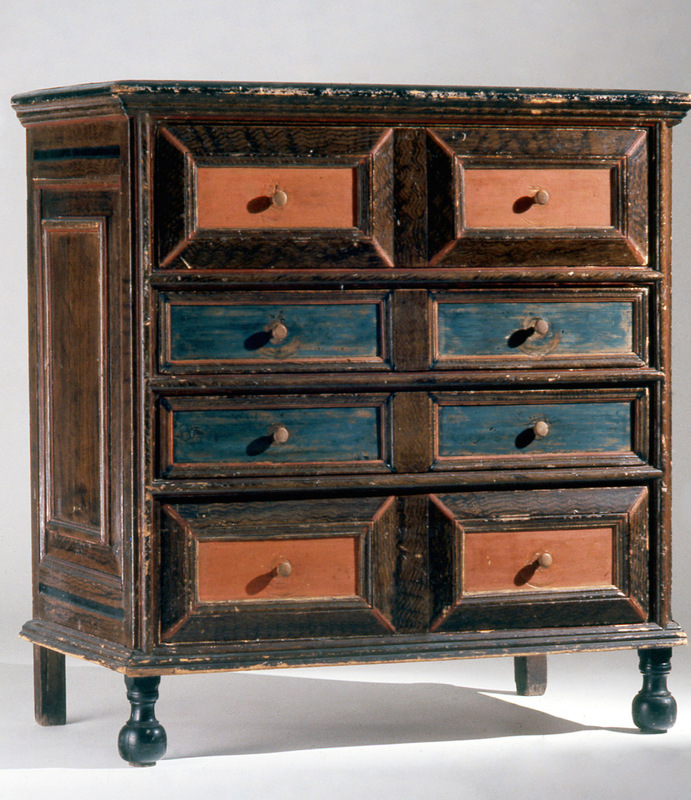 Chest with Two Drawers, attributed to Robert Crosman, Taunton, 1742, painted pine. Winterthur Museum, Bequest of Henry Francis du Pont, 1954.510. 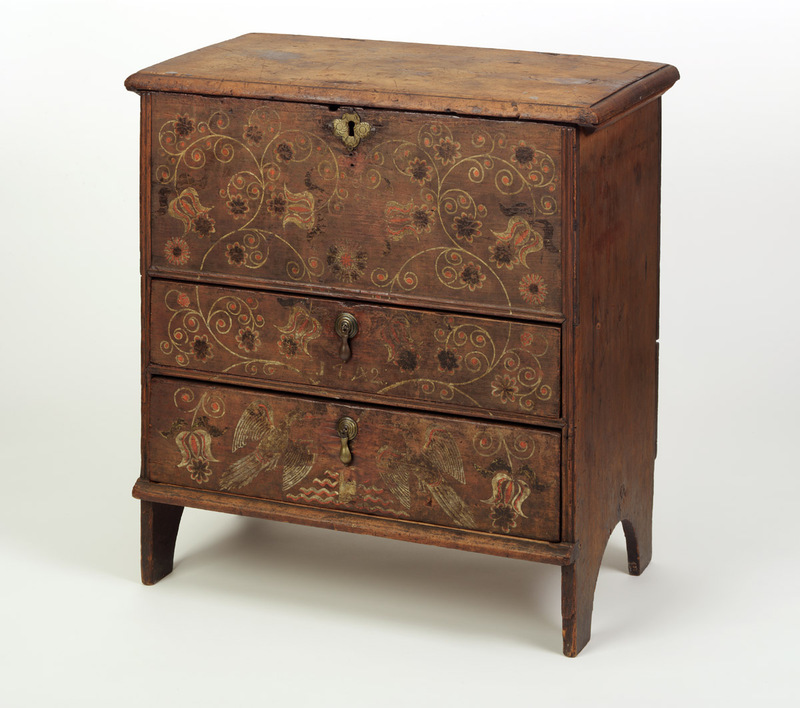 Chest of Drawers, Boston, 1700-1715, painted oak and pine. Winterthur Museum, 1956.0010.003. Material Matters is a hub for new and innovative material culture research: the study of objects and what they reveal about individuals and societies. Material Matters is run by graduate Fellows in the Winterthur Program in American Material Culture.